Wait a minute - this isn't a harp guitar! I know...and yet it is. 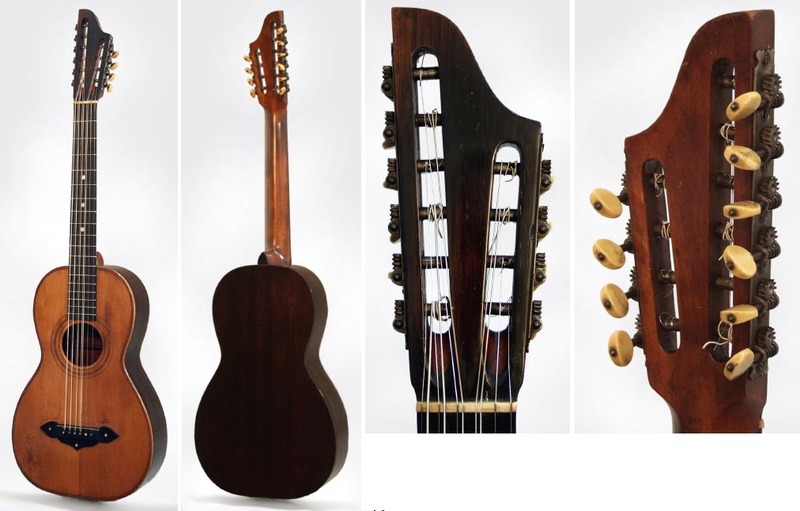 Oh, it's not a "true" harp guitar, as they are classified today - but nevertheless one of the legitimate definitions (12 different of which are here). 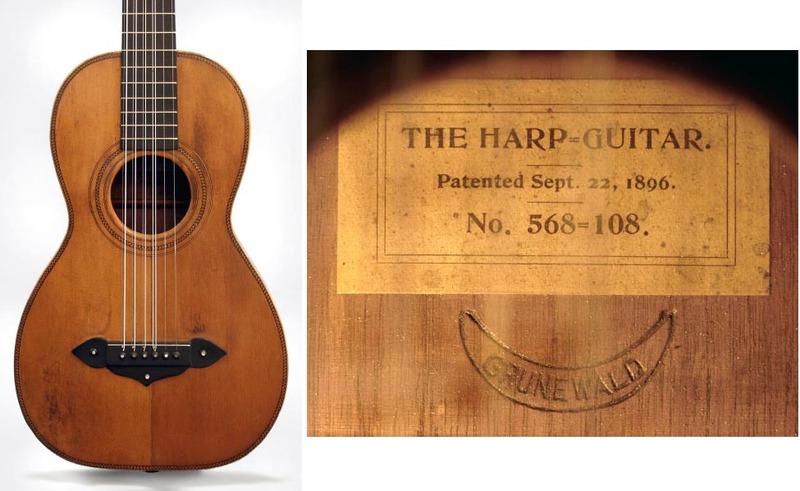 The question is: what then is it, and why was it called a harp guitar? ...where you'll read about the original patent, and the various incarnations and Grunewald variations. It's pretty tedious...don't say I didn't warn you!